"Nothing Compares to the Simple Pleasures of Riding a Bike"
Five years ago we had an added blessing in our life when my wife, Stacy, had our fourth child; 12 years after our youngest. Recognizing I wasn&apos;t the youngest dad, I started looking for ways to stay in shape. I wanted to be able to keep up with this guy! I used to be an avid runner, but running is not as easy as you get older. Some of my neighbors told me about cycling and encouraged me to get involved. I started riding with some of the guys in the neighborhood and fell in love with it - cycling is a wonderful activity as you age; there&apos;s less wear and tear on the body. I like to joke that the only downside is that I didn&apos;t take up golf earlier in my marriage so my wife would be accustom to my being gone for several hours each weekend! Cycling takes time. In order to get a long ride in, you are gone for a few hours. Stacy knew how much I loved cycling and even though she had never really done much riding before, she started riding with some of her girlfriends. It was also a great way for her to exercise and keep up with our 5 year old. We love the chances we get to cycle together. 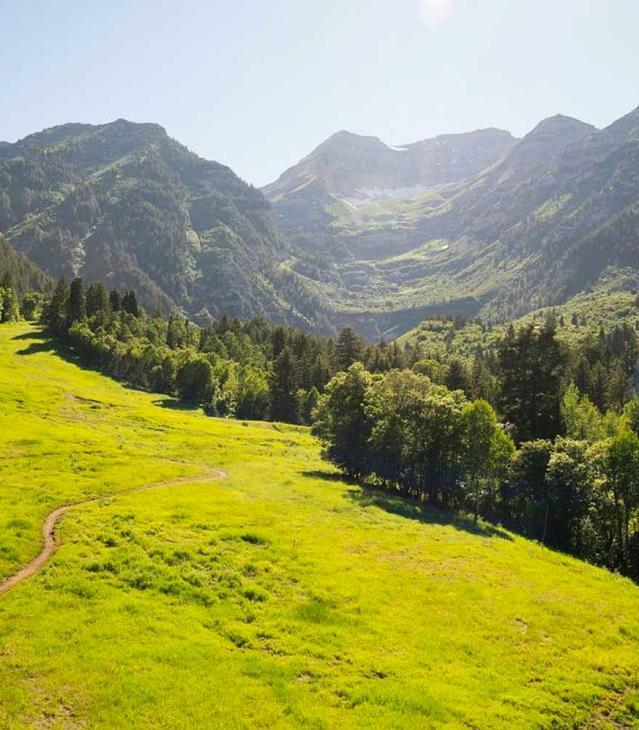 One of our favorite trails is the Murdock Canal Trail that just opened in Utah County this past spring. The trails runs from 800 North in Orem to the Point of the Mountain in Lehi. We love this trail not only because it connects to other trails, but it is perfect for all level of cyclists. Whether you are an avid cyclist or a recreational rider, the Murdock Canal Trail is perfect. The County commission needs to be commended for their commitment to building a world class trail system throughout the County. In 2011, some of my neighbors, who are avid cyclists, started discussing organized rides and challenged me to complete a century ride (100 miles) by the end of the summer. They asked if I wanted to join them and to be honest I was a little unsure. They were participating in the Utah Lake Century Epic Ride (ULCER). This was a 100 mile course that went around Utah Lake. I decided to do it and had an amazing experience. Even though riding 100 miles was exhausting, I&apos;m looking forward to the chance to ride it again next week (Saturday, August 3rd). This year the Bonneville Cycling Club, who owns ULCER, had decided to retire the event after 28 years. Not wanted to see this event "ride off into the sunset", the Utah Valley Convention & Visitors Bureau and the Utah Valley Chamber of Commerce approached Bonneville Cycling Club and offered to assist with the event if they were willing to keep it going. Fortunately they said yes! I am so pleased that they said yes and that my wife and I will both be able to participate in the ULCER this year. The ULCER offers three different course lengths depending on your ability and desire to ride - 30 miles, 60 miles, and 100 miles. My wife is planning to complete the 30 mile course and I&apos;m planning to ride the full century - 100 miles! We have been training and are looking forward to next week&apos;s experience.